Use the currency converter tool above to compare InstaReM exchange rates against other banks and foreign exchange services. Each exchange rate is updated regularly by the provider making it the most up to date results for currency comparison. 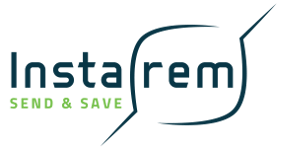 Whether you have to send money overseas for business or personal needs, or are receiving money from overseas, InstaRem is your global money transfer experience which is hassle-free and cost-effective. Any international transfer takes us one or two business days and all international funds transfer involve zero remittance fees. All you need to do to transfer funds overseas is follow a 3-step process and InstaReM will take care of the rest of the process to remit your money. You can choose to make global money transfer through InstaReM's money transfer website or the international money transfer app. If you want to see if InstaReM is correct for you, check out the comparison tool above. Whilst InstaReM is a cost effective forex provider in the market, it still may not provide you with the best rates when your transfering at the moment. This is why you should use FX Compare's currency converter tool to see which business currently allows you to get the most value for your money. Join thousands of FX Compare users in taking advantage of the features of our comparison tool. You can easily compare InstaReM exchange rates to the many others on offer using FX Compare. The simplified interface can help you compare levels of service, fee structures and offers, giving you the confidence to decide who is best placed to provide your international money transfer. It's important to remember, that providers can change their offers, so be sure to check with them before arranging your currency conversion.